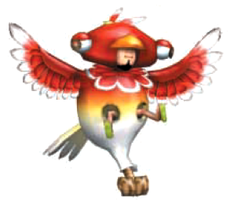 The Chopperbird is a man from a foreign country disguised as an evil equivalent of the Helibirds in the game Donkey Kong Jungle Beat. He greatly resembles a Helibird, except for the fact that he has a different head, is colored red, and has two legs coming out of holes in its torso. 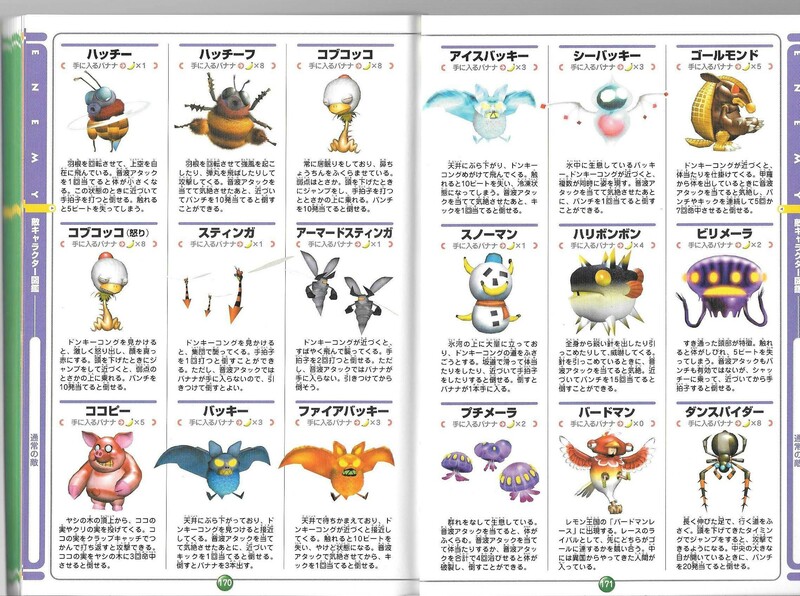 The Chopperbird only appears as a rival in the first level of the Lemon Kingdom, Chopperbird Race. In this level, Donkey Kong must use the various Helibirds positioned throughout the level to beat Chopperbird in a race. Donkey Kong does not have to win, but if he does, he gets 300 Beats. If the Chopperbird loses the race, he starts flying around erratically in frustration. The Chopperbird also appears during the end credits. This page was last edited on April 22, 2019, at 04:48.